We collect information for the primary reason of improving your customer experience and enabling Services both online and offline. There are two main ways Black Mamba Knives may collect Personal Information. We strive to only collect Personal Information which is relevant for the purposes of Processing. When you make purchases through the Services, we process your payments through a Third-Party application. The Third-Party application may collect certain financial information from you to process a payment on behalf of Black Mamba Knives, including your name, email address, address and other billing information. We use your personally identifiable information to support and enhance your use of the Site and its features, including without limitation: fulfilling your order; providing customer service; tracking email invitations you send; and otherwise supporting your use of the Site and its features. We may also track your past purchases to provide you with a personalized profile of your purchase history. The personal information you provide to us will also be added to our databases and used for future communications regarding new product offerings or other special promotions. Black Mamba Knives may use your data in any of the following way. 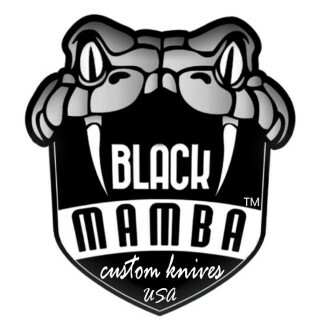 Providing you with products or services.Black Mamba Knives may use information to fulfill orders or for information that may be included for future services such as processing orders or any other services .Black Mamba Knives may provide.